Giovanni Albanese of MTDCNC speaking with Mark Rattenberry, Managing Director at Mellish Engineering Services Ltd.
Equipping their Machining Centers with MIDACO Pallet Changers is a "No Brainer" according to Mark Rattenberry, Managing Director of Mellish Engineering Services Ltd. In 2018 Mellish invested a whopping £900k GBP ($1.2 million USD) in machine tools to keep up up with market demands. The increased output has been a game changer. One of their production enhancing investments was adding a Manual Pallet Changer System to their DOOSAN Mynx 6500 VMC. 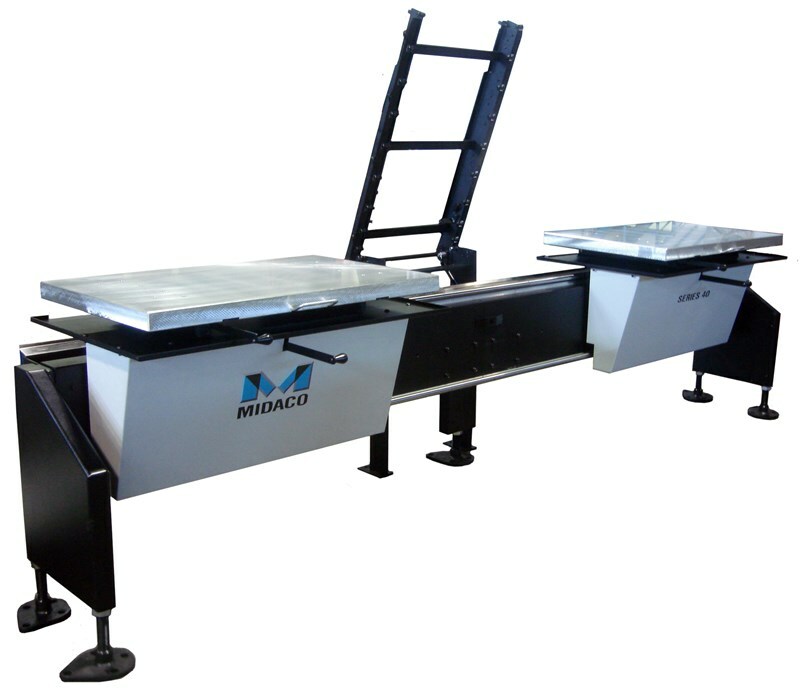 Working with MIDACO UK representatives HYFORE Workholding Solutions, Mellish determined the best solution for their application is a Manual Pallet Changer with an optional transfer bridge. This systems gives Mellish the ability to load multiple parts on one 50'' x 20" (1270mm x 508mm) pallet Changing parts on the pallet outside of the VMC while its cutting rather than inside on the machine table reduced their downtime "massively", according to Rattenberry. "To give you an example, normally we do a part in singles, 20 minutes each, and to take the part out and put a new part in that was taking 10 minutes. So we now put a family of parts on the pallet changer and now we've reduced the cycle time, I think over a 200 batch we're actually saving over 40 hours in a week." With that type of productivity increase Mellish worked though the numbers and anticipate a return on their MIDACO Pallet Changer investment in 12 months. Video Credit: MTDCNC YouTube Channel for educational reviews in the Machine Tool Industry.